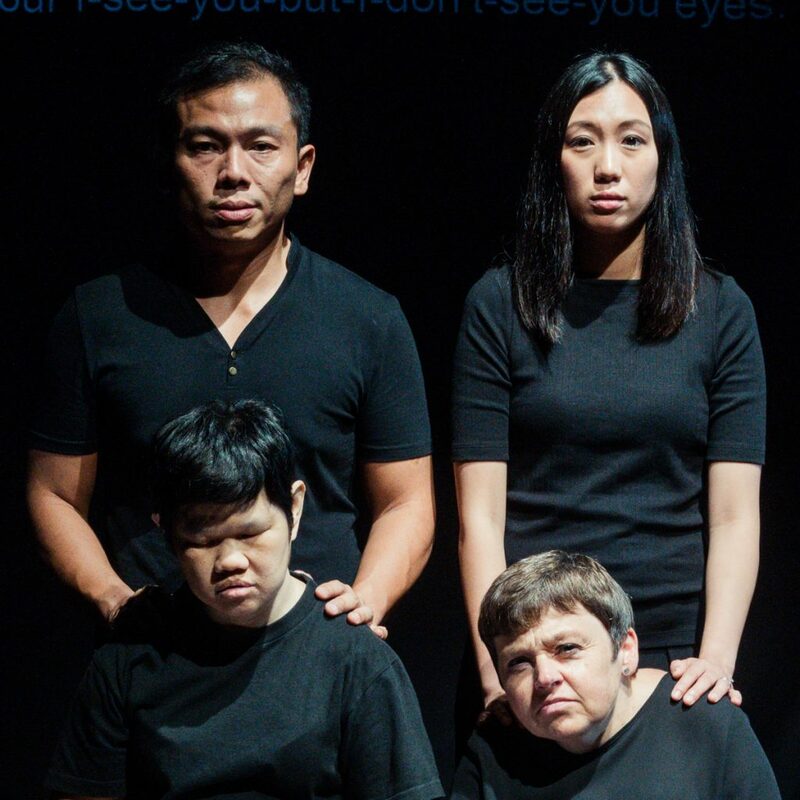 ‘And Suddenly I Disappear: The Singapore/UK ‘d’ Monologues’ written by Kaite O’Reilly is the result of a collaboration between teams of Deaf and disabled practitioners from both the UK and Singapore, funded by Unlimited (delivered by Shape and Artsadmin). It played Southbank Centre 5 and 6 September as part of Unlimited Festival. Review by Joe Turnbull. Language is universal. It may be written, spoken or signed, but all cultures are constructed and mediated through language. And Suddenly I Disappear… crams in more languages than the latest Google Translate update. There’s English, Welsh, Mandarin, British Sign Language, Singaporean Sign Language and a splash of calligraphy, too. Languages act as a cultural signifier but also create barriers between cultures. What O’Reilly seems to be subtly suggesting, by conjuring stories of disabled and Deaf experience from two ends of the earth – through this delicious cocktail of languages – that whilst not quite universal, there are many aspects of disabled experience which transcend borders, cultures and generations. That disabled and Deaf experiences are valuable but all-too-often overlooked aspects of the human condition. And Suddenly I Disappear… is a series of fictionalised monologues inspired by the lived experiences of Deaf and disabled people in the UK and Singapore gathered by O’Reilly and her Singaporean collaborators Grace Khoo and Peter Sau, who both also star in the production alongside Ramesh Meyyappan (also Singaporean but based in the UK), Garry Robson, Sara Beer and Macsen McKay. Sophie Stone, Danial Bawthan, Stephanie Fam and Lee Lee Lim also appear as filmed projections from time to time. Peter Sau, Grace Khoo, Lee Lee Lim and Sara Beer. Every single member of the cast shines like a constellation of disparate stars, sometimes in unison but not always in harmony. As a collection of monologues, the interaction between characters is minimal. A recurring theme is the invisibility of disabled and Deaf people across cultures and on multiple levels. The lack of interaction on stage amplifies the sense that these characters are invisible. The only meaningful interaction (besides occasional asides for interpretation purposes) comes in a harrowing act where Meyyappen’s signing character is repeatedly ‘silenced’ by Khoo and Sau, just as he discovers the joys of visual language. By clamping his hands at his sides, he is thrown into an ocean of darkness, with no way to communicate. It’s not done in a physically aggressive way, yet feels like a heinous act of violence. The use of both spoken and physical languages affords O’Reilly the opportunity to probe the bounds of the monologue. Some are highly abstract. Others deeply personal. Many are hilarious in exposing the absurdity of the ableist gaze of pity and condescension. The whole mess of life is on display. But despite light moments, mostly provided by the understated comic brilliance of Beer, the overall feeling leaves us in no doubt as to how both Singaporean and UK societies have wrought unbearable cruelty on the Deaf and disabled community. In one monologue, Khoo speaks of how disabled babies were ‘left in the jungle’ by aunties, telling euphemistic tales that they had been sent to lovely care homes, for their own good. Several of the characters in this production won’t take these affronts lying down. O’Reilly has obsessed with the form of the monologue for years, long before her 2012 play, In Water I’m Weightless, which used the same premise. Working within such strict parameters but keeping it as poignant and entertaining as And Suddenly I Disappear… requires immense creativity both in writing and dramaturgically. 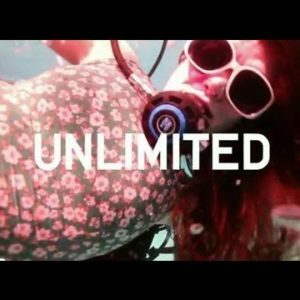 But setting limits does restrict. I longed to see some of these characters collide. What would happen if Robson’s fiercely proud English patriot who thinks disabled people should harness some of that English stiff-upper-lip attitude met Sau’s magnetic Singaporean businessman who excels by closeting his difference? Eschewing plot also asks for a huge investment from the audience in order to keep their attention. There is no character development or story arc to pull you along. This is the nature of experimental work, but as it was, this incarnation of And Suddenly I Disappear… was probably about two or three monologues too long. There were several monologues that ended with a bang and the resonating hum of recognition from the audience was almost palpable. One of these moments would have arguably made the most suitable ending. Nevertheless, the masterful artistry and integrity of this production cannot be questioned. It is rare to see a production which wears its disability politics so flagrantly on its sleeve and still stands up as a piece of art. 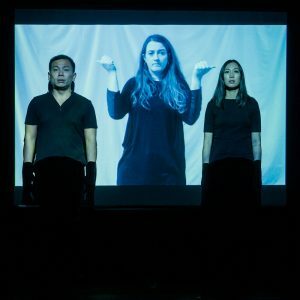 Of norms, of preconceived notions of disability, of dramaturgical orthodoxy and most of all, of ableist notions of normalcy – this production is radically defiant. 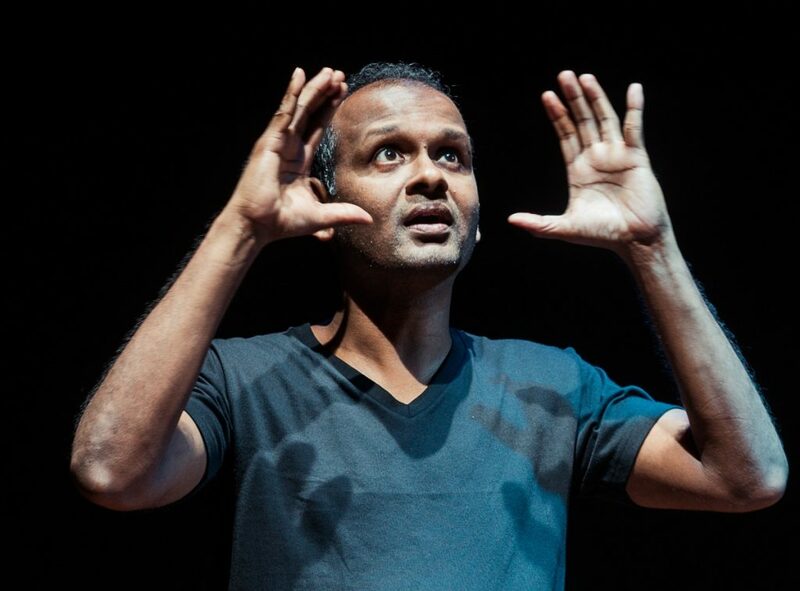 And Suddenly I Disappear: The Singapore/UK ‘d’ Monologues is at The Old Fire Station, Oxford on 8 September, Attenborough Arts Centre, Leicester on 9 September and Chapter Arts Centre, Cardiff on 11-12 September.